In the article you will find some basic information on Pygmy Angelfish for the Saltwtare Aquarium. 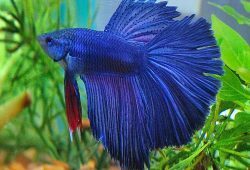 The appeal of these beautiful fish is hard to resist, and, given their small size and hardiness, they are excellent candidates for the home saltwater aquarium. 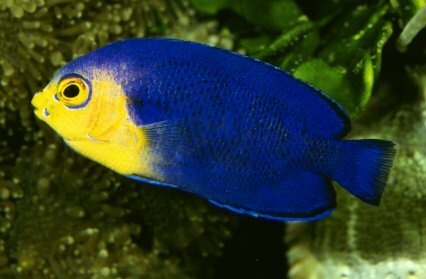 The dwarf or pygmy angelfish from the genus Centropyge make excellent saltwater aquarium inhabitants due to their small size, often bright coloration and the fact they are generally long-lived. Here are nine relatively hardy species that make excellent beginner fish. For each species, you will find the species’ common(s), scientific name, relative price, adult size, recommended minimum tank size, and natural distribution and depth range. 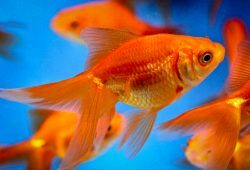 All of the dwarf angelfish listed here are reef-compatible with caution, semi-aggressive and appreciate high water quality. They should readily adopt a captive diet including most frozen and prepared foods. Feed frozen mysis shrimp and spirulina algae if the tank is not well established with live rock. The depth range is listed for each species because it is important to remember that many of these fishes are collected at great depth requiring careful collection practices. 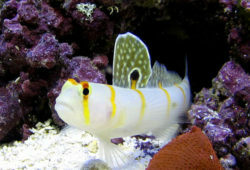 It is not uncommon to see a fish suffering from improper decompression during capture, and this fish is unlikely to survive (and hobbyists should not be supporting retailers that buy and sell such fish). Likewise, many of these fish should be kept in a dimly lit tank or will need to be slowly acclimated to high intensity reef lighting. Dwarf angelfish need an aquarium with plenty of hiding places and prefer a tank with live rock and lots of forage (allow that algae to grow on non-living surfaces). Only one member of a given species should be housed in an aquarium unless that aquarium is VERY large. Dwarf angelfish often display aggression toward other dwarf angelfish—if you are going to house two species in the same aquarium, add them at the same time.